At the end of my previous “A VERY GOOD DAY ON THE BATTLE FRONT! (CT SCAN RESULTS ET AL)” post I mentioned that with my good CT scan results: “I’m fighting on one battle line & I won a battle today”. As a direct consequence of that scan, I and my medical team have decided it is now time to open up a new battle line of direct attack. But first, I need to give some background leading up to that decision – it was not a standard route……. When I finished my chemotherapy as a Stage IIIC patient in January, 2013 – I was relieved to see that my CT scan was completely clean. Absolutely no evidence of disease (NED). As far as anyone knew I was cured and I entered my new post-cancer life. I stopped eating all junk food, began distance running, began taking supplements that I felt may reduce the chance of recurrence, and I refocused my life on new priorities of Family, Faith & Health. Although I was worried about recurrence (having statistics giving 70% odds of Stage IV cancer coming back can do that to a person!) – I honestly felt the healthiest I had ever felt my entire life. That all changed 8 short months later in August 2013 with the first signs of recurrence in my next CT scan. My doctor called with the scan results. Seldom is it a good sign when the Doctor calls. He told me that “there are some enlarged lymph nodes”. Were they cancer? No way of knowing but certainly they were “suspicious”. A PET-CT scan a few weeks later also identified some suspicious small spots in my lungs. Were they cancer? No way of knowing but certainly they were “suspicious”. My second question (hint: pay attention to this one): Can we blast the spots with targeted radiation, cook them to a crisp with Radiofrequency Ablation (RFA) or do surgery? Answer: Due to the spots’ locations, surgery is not possible. You shouldn’t go through the risks of RFA to remove the lung spots since there are probably more spots about to appear if you are metastatic. The Doctor’s Plan of action? Since unsure if cancer, monitor for growth and/or signs of metastatic spread. What did I do? I scoured the scientific literature and identified everything I could find that met these basic criteria: 1.) Scientifically plausible 2.) A high safety bar (Primum non nocere – First do no harm) 3.) Ideally had human data indicating at least signs of efficacy – but at the very, least signs of efficacy in animal models. After that initial research period: 1.) I immediately went on a minimal protein primarily vegan diet with a focus on potentially therapeutic foods, under the guidance of an expert dietary MD 2.) I began numerous additional supplements – including some from traditional medicines from Europe, Asia & India – I believe we shouldn’t lightly throw away hundreds/thousands of years of observational/empirical science 3.) I began to take a number of (safe) medicines “off-label” – i.e. medicines not designed to be anti-cancer drugs but in animal and/or preliminary human testing showed potential anti-cancer activity. Importantly, my oncologist was notified of all medicines I took off-label. Well – what happened??? 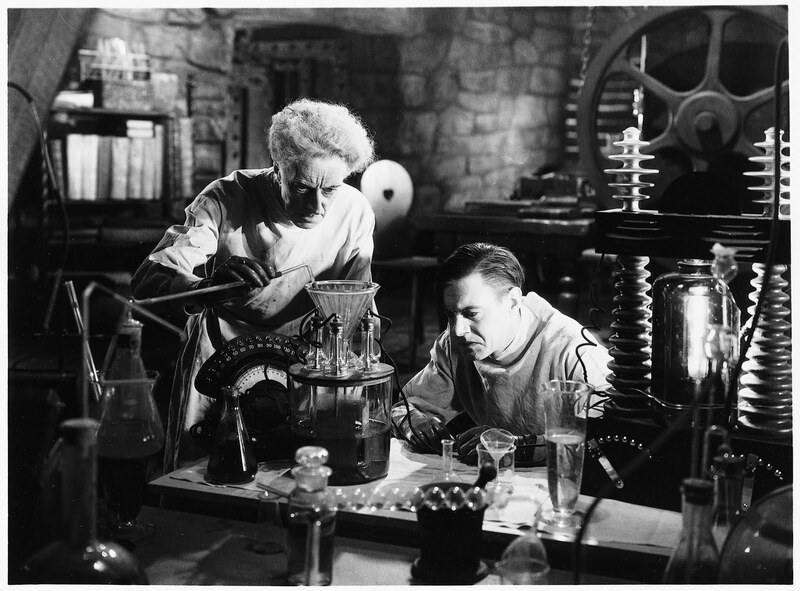 Since you’re now Stage IV & have done chemo – your experiment failed right? The lymph nodes have never grown. The lung spots kind of wavered in size but overall did grow very slowly. Because of the slowly growing lung spots, I was declared Stage IV after one year of monitoring and I restarted chemo last Fall (the cocktail I used ended up showing zero obvious impact on any spots). Related to this, I had an appointment with my oncologist every 2-3 months to go over scan results. I became a very annoying broken record to him. August 2013: Question: Can we blast the spots with targeted radiation, cook them to a crisp with Radiofrequency Ablation (RFA) or do surgery? Answer: Due to the spots’ locations, surgery is not possible. You shouldn’t go through the risks of RFA to remove the lung spots since there are probably more spots about to appear if you are metastatic. October 2013: Question: There are no new spots. Can we blast the spots with targeted radiation, cook them to a crisp with Radiofrequency Ablation (RFA) or do surgery? Answer: Due to the spots’ locations, surgery is not possible. You shouldn’t go through the risks of RFA to remove the lung spots since there are probably more spots about to appear if you are metastatic..
Then… May 2015: There has been no obvious signs of active metastatic spread for ALMOST 2 YEARS! Can we blast the spots with targeted radiation, cook them to a crisp with Radiofrequency Ablation (RFA) or do surgery? Answer: You have a weird cancer. Not only have the lymph nodes not grow but the lung spots have been very slow growing without obvious active spread – even though your spots initially appeared suddenly. Surgery is still not an option but… OK, we can look into doing radiofrequency ablation (RFA) to start blasting away some of those lung spots! So RFA is the new battle line we are opening up in this war! I have been wanting to do RFA for a long time & it is finally going to happen on June 25! Why have I been so keen to get RFA done even though it will be non-curative? 1.) My spots right now are pretty indolent (slow growing, not spreading). Unfortunately cancer cells are genetically unstable and they could switch to a more aggressive form at the flip of a genetic switch. I like the thought of getting rid of a Millions of cancer cells available to “luck into” that evolutionary switch. 2.) The problem with using systemic drugs (whether chemo or targeted agents like cetuximab) is that tumors are very heterogeneous (and genetically unstable). Unfortunately there exists in the Universe little things called evolution and natural selection. 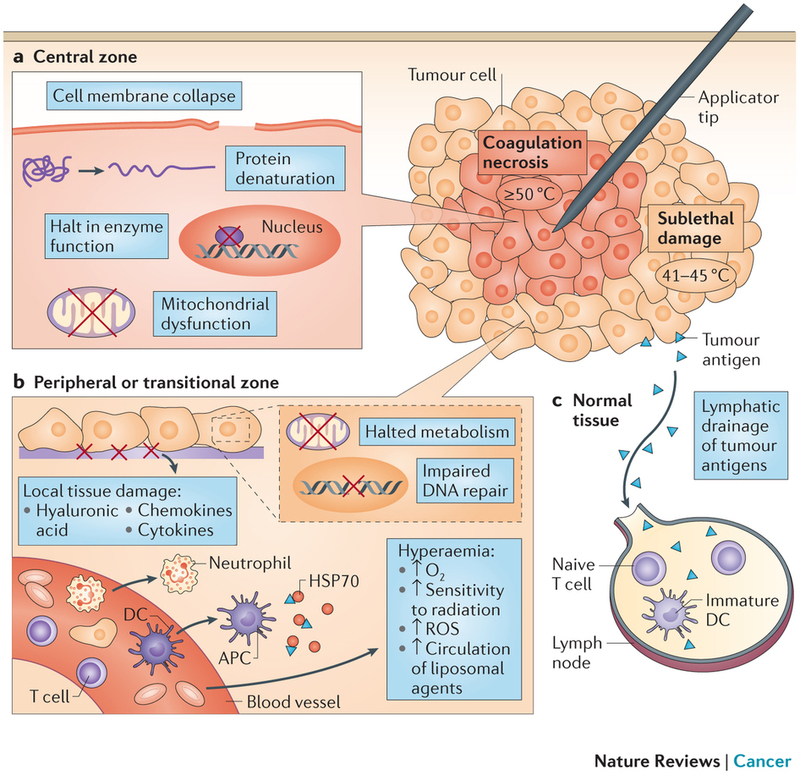 There are always sub-populations within tumors which are intrinsically resistant to therapy (or become resistant via evolution) and these are then chosen for by natural selection. The end result: you can prolong life with those drugs but invariably you will end up with a harder to treat/aggressive cancer. With RFA, by using brute force (a little miniature thermonuclear bomb!) – the tumors are blasted away in seconds. There is not time for evolution to occur and natural selection has trouble evading thermonuclear warfare! 3.) I am a big believer in immunological approaches to fighting cancer – the size of tumors can really impact the immune system’s ability to fight. So I would love to get rid of the largest ones. 5.) As an added bonus, the procedure may allow extraction of lung tumor tissue to further increase the HUGE amount of genetic data currently being generated on my cancers – including possibly RNA-sequencing and/or comparing whole exome sequencing of my 2012 primary tumor with whole exome sequencing of my largest 2015 lung tumor! The chances of complications are very low (very rarely, the occasional collapsed lung but fighting cancer is not for the faint of heart!). It will require a single hospital night and people normally fully recover very quickly. I laid above some scientific reasons why I have really wanted to do RFA for a long time. At least as important are the emotional reasons. Opening up a new offensive battle line, taking the battle directly to the cancer and hitting it mercilessly with brute force – like it is trying to do to me – feels good. Really good. You are such a great writer! Keep up the good fight! Yes! Such great news and keep on doing all these mad scientist supplements and off label meds – everything you are doing is working!!! Can’t wait for the 25th! Keep us posted! ROCK ON, Tom!! Good, no… GREAT luck on the 25th!! Thanks Loren!! I plan to Rock on indeed! I feel dwarfed. You heroic fight is just stunning to anyone who enjoy health and worried with much less serious things in life. Until June 25, we will keep praying and Yes, KEEP GOING, the enemy will not stop you. Whenever one can reduce their tumor load it’s a good thing! I can relate to the experimentation! Kudos for being proactive with your doc. I did the same thing when I did selective internal radiation therapy for my liver. It blasted my tumor and it didn’t come back for 5 years. That is absolutely great news! So happy for you!! Terrific news! We’ll be praying for you. Been following your blog for a while. My wife – 44 yrs old – was diagnosed with ALK-driven NSCLC three years ago. 2 years of success with Crizotinib (I believe you did a presentation on that! ), recently started the ARIAD trial on AP26113 because of uncontrolled brain mets. We have some things in common. I’m a medical physicist in radiation oncology (www.coloradocyberknife.com if you want to take a look at my clinic). I’ve been meaning to reach out to you for some time because of the professional connection, but seeing this post, I also wanted to let you know that as a private clinic, we could offer SBRT for those lung mets. We do a lot of self-referral, and without the red tape of a hospital, we can do things a lot faster, without worrying so much about insurance etc. Although RFA is also excellent, obviously without the carcinogenic risk to healthy lung. That’s great you’ve finally got the opportunity to get rid of those outlier lesions. Anyway, I’ll leave this reply at that. Would love it if you send me private email. All the best to both you & your wife!